Uh-Oh! 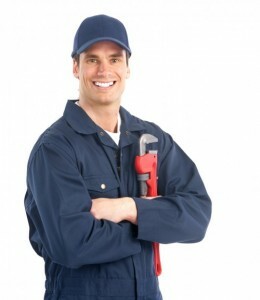 Does Your Basement Plumbing Needs a 24 Hour Plumber? Are you experiencing basement plumbing issues? Do you catch a whiff of mildew every now and then? Have you noticed wet spots on the floor? Maybe you’ve noticed your water bill has increased and you don’t know why? These are signs that you may have a hidden leak that could be located underneath your home’s slab. Concealed leaks can happen anywhere: behind walls, in ceilings, and in yards. However, one of the most destructive type of hidden leak is called a slab leak. This leak happens when water pipes burst or slowly leak because of a crack or complete break in the pipe. Slab leaks are particularly destructive because they can go unnoticed for a long time. Some leaks can be present, slowly creating damage, for as long as several months before homeowners are alerted to a problem. Homeowners may think they are at the mercy of these leaks without any options, but this isn’t true. At Ventura ASAP Plumbing and Rooter, we offer state-of-the-art leak detection plumbing services designed to detect the smallest vibrations from the tiniest leaks. Locating small leaks and making quick repairs is the number one way to prevent major basement plumbing issues. Call a 24 Hour Plumber Now! As your top-rated Ventura plumber, we never want our customers to wait to call for plumbing service. At the moment you believe there is a problem, please pick up the phone and call for leak detection plumbing service. When these problems are taken care of right away, the chances of major basement plumbing repairs are reduced and the cost is less. At Ventura ASAP Plumbing and Rooter, we save our customers money across the board. For experienced, licensed plumbers who genuinely care about you, call us today. Our 24 hour plumbers are available when you need us the most! Is your water heater starting to make sounds like a monster? Does it make a popping sound every time someone takes a shower? Weird sounds and poor heating are two huge signs that you need hot water heater maintenance and water heater repair. 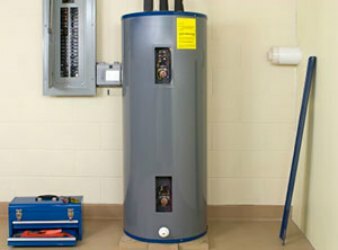 Take a moment to learn a little more about the reasons that water heaters fail and what you can do to get ahead of problems. People who live with hard water know that it can have an effect on their skin, the glass shower doors, bathtub enclosures, dishes that run through the dishwasher and more. But did you know that your water heater could be suffering the worst damage? It’s true. Hard water is compromised of minerals and other substances that create sediment. Sediment is present in your water pipes and can settle into the bottom of your tank water heater. When sediment is left in the bottom of the tank, it can affect the performance of the heating element and lead to poor heating. One of the best things you can do for your hot water heater is to have it flushed annually and consider purchasing a water softener or whole-house filtration system to lessen the effects of hard water. Many people like to save money by installing new plumbing appliances like water heaters themselves. While this is a way to save money in the short term, it’s not a good idea if you want to feel confident when you use your water heater. At Ventura ASAP Plumbing and Rooter, we encourage people to have their water heaters installed professionally. Professional installation ensures that the unit is hooked up the right way and will work for you without fail for many years to come. Lastly, make sure that you maintain your water heater from year to year. Hot water heater maintenance in Ventura, CA, is affordable and accessible to everyone. When you get ahead of problems, you won’t have to call an emergency plumber in the middle of the night. 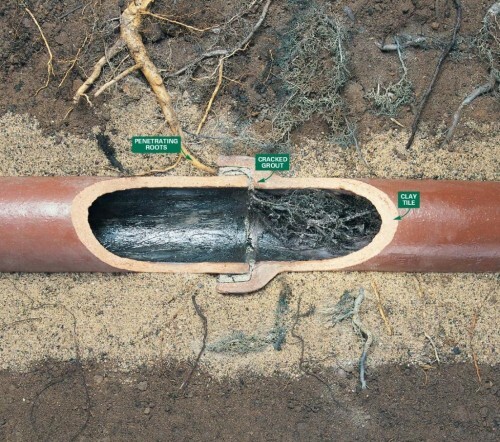 Every conventional plumbing system in a modern home connects drains throughout the house to a main sewer line, which channels used water to a septic tank or city disposal system. Maintaining the integrity of your sewer lines is essential for keeping your home sanitary and preventing water damage to the property. Functional drains, pipes and sewers are important in for every homeowner, which is why Ventura ASAP Plumbing and Rooter is committed to providing our customers with fast and affordable service on all sewer line repair, replacement and maintenance projects. Whether your plumbing system is completely clogged or water is leaking somewhere in the home, you should contact a professional plumber immediately to start working on a solution. Waiting to address a sewer line issue can have expensive and frustrating consequences, since many of these problems only become worse over time. Fortunately for our clients in Los Angeles, there’s no need to wait to get help from an expert! As a local business, we value every single customer and always strive to deliver our best work on every project. The well-being of your home is important to us, so you can trust us to work carefully and thoroughly to provide results that stand the test of time. You don’t have to worry about sloppy work when we are on the job. As your full-service sewer line repair and maintenance company, you can contact us any time of day on any day of the week for plumbing assistance. We know that a sewer crisis is something that needs to be addressed as soon as possible, which is why we have technicians standing by to help you recover from sudden domestic disasters. Just give us a call to request an urgent appointment and we will send a technician to assist you as soon as we are able. You are also welcome to request a no obligation estimate for your project or ask questions about our company or plumbing services in Ventura.